The New York Times has an article today about the considerable leverage that the US Government has with the Egyptian military and how the Obama administration is reviewing that leverage. But what the NYT overlooks, is that it is very possible that the leverage has already been applied and that the Egyptian military is already listening to Washington. Nevertheless, the Times does present some interesting facts. In fact, Egypt is so enamored of Apache attack helicopters, M1A1 battle tanks and F-16 fighter jets that exasperated American military officials have been telling generals there for years that they need to expand beyond the hardware of bygone wars and spend more American money on border security, as well as counterterrorism and surveillance equipment and training that a truly modern military needs. Either way, a close look at the details of American military aid to Egypt shows why the relatively modest $1.3 billion may give the United States more leverage over the Egyptian military than it may seem, although still not as much as it wants. Even if Saudi Arabia and other Persian Gulf monarchies make up for any aid the United States may suspend, Washington would block Egypt from buying American weaponry with that money — a serious long-term problem for a military that is already viewed as sclerotic and has neglected pilot training so badly that the Egyptian air force has one of the worst crash rates of any F-16 fleet in the world. What Egypt’s generals fear most is the cutoff of hundreds of millions of dollars in mundane but essential maintenance contracts that keep the tanks, fighter jets and helicopters running, American officials and lawmakers said. In the past, maintenance costs have represented roughly 15 percent of total American military aid to Egypt, according to the Government Accountability Office. The Egyptian military is clearly not up to speed on counter-terrorism, and the article also covers some other interesting tidbits. For one, the Obama administration is reviewing the aid, with the implication that harming Islamic Brotherhood and Morsi supporters is the issue in question that could cause the US aid to be suspended. Then again, the article points out that cancelling the government contracts would incur penalties and likely also cost American jobs. 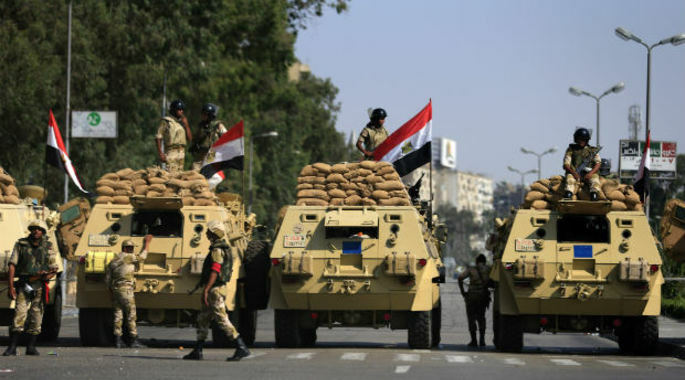 What is missing from the article is what pressure has been brought to bear on the Egyptian military already. Clearly the United States best interest would be served by a peaceful resolution to the unrest in Egypt. The idea that counter-terror and counter-insurgency training are substandard would imply that there is a keen interest to see the pro-Brotherhood/pro-Morsi forces be unsuccessful. Could the Obama administration have pressured the military behind the scenes to clamp down on the protests? It is certainly possible. It is definitely in the administration's best interest to see the Brotherhood fail and Egypt take another crack at democratic elections with a dispirited and scattered Islamic Brotherhood as a non-factor. That would be the equivalent of a reset button on Egypt. The administration was a little to eager to see Mubarak go, without a full assessment of the potential implications of an Arab Spring, including a strengthened and leading Brotherhood. That doesn't bode well for Obama's domestic popularity for the American people to know that the government's position Egypt has been a failure. So it is even possible that the Obama administration even requested the Egyptian military do something about Morsi in the first place. Following it up with an Obama condemnation and a secret deal to keep the aid flowing in is not as far-fetched as it would seem.